REFURBISHED IPHONE 7 PLUS BLACK GSM UNLOCKED 128GB - GOOD CONDITION for $509.99 at JemJem! Offer ends 08/24. Shop now! REFURBISHED IPHONE 7 PLUS BLACK GSM UNLOCKED 32GB - FAIR CONDITION for $439.99 at JemJem! Offer ends 08/24. Shop now! Best of Web Deals! Refurbished Apple MacBook Pro 13" Core 2 Duo 2009 - Acceptable Condition for $329.99 at JemJem. Best of Web Deals! Refurbished Apple MacBook Pro 15" i7 2010 - Acceptable Condition for $489.99 at JemJem. Best of Web Deals! Refurbished Apple MacBook Pro 15" i7 2011 - Acceptable Condition for $479.99 at JemJem. Best of Web Deals! Refurbished iPad Air Space Gray 32GB WiFi - Excellent Condition for $189.99 at JemJem! Offer ends 06/08. Shop now! Best of Web Deals! Refurbished iPad 3 Verizon White 32GB - Good Condition for $149.99 at JemJem. Best of Web Deals! REFURBISHED APPLE MACBOOK PRO RETINA 13.3" I5 2015 - ACCEPTABLE CONDITION for $838.00 at JemJem! Offer ends 05/31. Shop now! Best of Web Deals! REFURBISHED APPLE MACBOOK AIR 13" I5 2012 - ACCEPTABLE CONDITION for $448.00 at JemJem! Offer ends 05/31. Shop now! Best of Web Deals! Refurbished iPhone 6S Silver T-Mobile 128GB - Fair Condition for $258.99 at JemJem! Offer ends 05/31. Shop now! Best of Web Deals! REFURBISHED IPAD 3 WIFI BLACK 32GB - ACCEPTABLE CONDITION for $117.55 at JemJem! Offer ends 05/30. Shop now! Best of Web Deals! REFURBISHED APPLE MACBOOK PRO 15" I7 2012 - FAIR CONDITION for $1028 at JemJem! Offer ends 05/30. Shop now! Best of Web Deals! REFURBISHED IPHONE 6S GOLD AT&T 16GB - FAIR CONDITION for $189.99 at JemJem! Offer ends 05/30. Shop now! Best of Web Deals! REFURBISHED APPLE MACBOOK PRO 13" 2013 - EXCELLENT CONDITION for $727.99 at JemJem! Offer ends 05/28. Shop now! Best of Web Deals! REFURBISHED IPHONE 6 SILVER VERIZON 64GB - EXCELLENT CONDITION for $167.00 at JemJem! Offer ends 05/28. Shop now! Best of Web Deals! REFURBISHED IPAD AIR 2 GOLD WIFI+ CELLULAR 16GB - FAIR CONDITION for $268.00 with at JemJem! Offer ends 05/28. Shop now! Best of Web Deals! REFURBISHED IPHONE 6S PLUS GOLD T-MOBILE 64GB - EXCELLENT CONDITION for $389.99 at JemJem! Offer ends 05/28. Shop now! Best of Web Deals! REFURBISHED IPAD 3 WIFI WHITE 16GB - ACCEPTABLE CONDITION for $134.00 at JemJem! Offer ends 05/25. Shop now! Best of Web Deals! REFURBISHED IPHONE 6S PLUS ROSE GOLD GSM UNLOCKED 16GB - ACCEPTABLE CONDITION for $289.99 at JemJem! Offer ends 05/25. Shop now! Best of Web Deals! REFURBISHED IPAD 4 WIFI WHITE 16GB - ACCEPTABLE CONDITION for $144.89 at JemJem! Offer ends 05/25. Shop now! Best of Web Deals! REFURBISHED IPAD AIR 2 GOLD WIFI+ CELLULAR 16GB - FAIR CONDITION for $268.00 at JemJem! Offer ends 05/25. Shop now! IPHONE 5S GSM UNLOCKED SPACE GRAY 16GB (ME296LL/A) (A1533)- FAIR CONDITION for $94.99 at JemJem! Offer ends 05/16. Shop now! Best of Web Deals! IPHONE 6S PLUS SPACE GRAY T-MOBILE 16GB- GOOD CONDITION for $258.00 at JemJem! Offer ends 05/16. Shop now! Best of Web Deals! IPHONE 6 SILVER VERIZON 64GB (MG642LL/A) (A1549)- EXCELLENT CONDITION for $167.00 at JemJem! Offer ends 05/16. Shop now! Best of Web Deals! IPHONE 6 GOLD GSM UNLOCKED 128GB (MG4V2LL/A) (A1549)- FAIR CONDITION for $219.99 with at JemJem! Offer ends 05/16. Shop now! Best of Web Deals! APPLE MACBOOK PRO 13" CORE I5 2012 [2.5] [500GB] [4GB] MD101LL/A- FAIR CONDITION for $488.99 at JemJem! Offer ends 05/14. Shop now! Best of Web Deals! APPLE MACBOOK AIR 11" I5 2012 [1.7] [64GB] [4GB] MD223LL/A- FAIR CONDITION for $344.99 at JemJem! Offer ends 05/14. Shop now! Best of Web Deals! APPLE MACBOOK PRO 13" I5 2013 [2.4] [128GB] [4GB] ME864LL/A- EXCELLENT CONDITION for $728.00 with at JemJem! Offer ends 05/14. Shop now! Best of Web Deals! APPLE MACBOOK PRO 13" CORE I7 2011 [2.8] [750GB] [4GB] MD314LL/A- GOOD CONDITION for $538.99 at JemJem! Offer ends 05/14. Shop now! Best of Web Deals! IPHONE 6 GOLD GSM UNLOCKED 128GB (MG4V2LL/A) (A1549)- FAIR CONDITION for $219.99 at JemJem! Offer ends 05/11. Shop now! Best of Web Deals! IPHONE 6S PLUS GOLD GSM UNLOCKED 16GB- FAIR CONDITION for $264.99 at JemJem! Offer ends 05/11. Shop now! Best of Web Deals! APPLE MACBOOK PRO 13" CORE I5 2012 [2.5] [500GB] [4GB] MD101LL/A- FAIR CONDITION for $488.99 at JemJem! Offer ends 05/07. Shop now! Best of Web Deals! APPLE MACBOOK PRO 13" I5 2013 [2.4] [128GB] [4GB] ME864LL/A- EXCELLENT CONDITION for $789.99 at JemJem! Offer ends 05/07. Shop now! Best of Web Deals! IPAD MINI WIFI SPACE GRAY 16GB (MF432LL/A)- FAIR CONDITION for $98.99 at JemJem! Offer ends 05/04. Shop now! Best of Web Deals! IPHONE 6S SPACE GRAY AT&T 16GB- FAIR CONDITION for $168.99 at JemJem! Offer ends 04/30. Shop now! Best of Web Deals! APPLE MACBOOK PRO 13" CORE I7 2011 [2.8] [750GB] [4GB] MD314LL/A- FAIR CONDITION for $524.99 at JemJem! Offer ends 04/23. Shop now! Best of Web Deals! APPLE MACBOOK PRO 13" I5 2013 [2.4] [128GB] [4GB] ME864LL/A- EXCELLENT CONDITION for $789.99 at JemJem! Offer ends 04/23. Shop now. IPAD AIR 2 WIFI SPACE GRAY 16GB (MGL12LL/A)- FAIR CONDITION for $224.99 at JemJem. 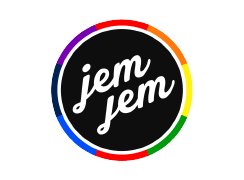 Shop H2O $50 Wireless Plans at JemJem. REFURBISHED APPLE MACBOOK PRO 13" CORE I7 2011 - FAIR CONDITION for $489.99 with Coupon Code "NEWYEAR2019" at JemJem! Offer ends 2/4. Shop now! REFURBISHED APPLE MACBOOK PRO 17" I7 2011 - GOOD CONDITION for $689.99 with Coupon Code "NEWYEAR2019" at JemJem! Offer ends 2/4. Shop now! REFURBISHED APPLE MACBOOK PRO 15" I5 2010 - GOOD CONDITION for $399.99 with Coupon Code "NEWYEAR2019" at JemJem! Offer ends 2/4. Shop now! REFURBISHED APPLE MACBOOK PRO 13" CORE 2 DUO 2009 - FAIR CONDITION for $299.99 with Coupon Code "NEWYEAR2019" at JemJem! Offer ends 2/4. Shop now! REFURBISHED IPAD 5 SPACE GRAY WIFI 32GB 9.7" - EXCELLENT CONDITION for $249.99 with Coupon Code "NEWYEAR2019" at JemJem! Offer ends 2/6. Shop now! REFURBISHED IPAD 3 WIFI BLACK 64GB - GOOD CONDITION for $109.99 with Coupon Code "NEWYEAR2019" at JemJem! Offer ends 2/6. Shop now! REFURBISHED APPLE IPAD AIR VERIZON SPACE GRAY 64GB - FAIR CONDITION for $189.99 with Coupon Code "NEWYEAR2019" at JemJem! Offer ends 2/6. Shop now! REFURBISHED IPAD MINI 3 RETINA WIFI SPACE GRAY 16GB - FAIR CONDITION for $159.99 with Coupon Code "NEWYEAR2019" at JemJem! Offer ends 2/6. Shop now! REFURBISHED APPLE MACBOOK PRO 13" CORE I5 2012 - EXCELLENT CONDITION for $539.99 with Coupon Code "NEWYEAR2019" at JemJem! Offer ends 1/25. Shop now! REFURBISHED IPAD AIR WIFI SPACE GRAY 128GB - FAIR CONDITION for $239.99 with Coupon Code "NEWYEAR2019" at JemJem! Offer ends 1/25. Shop now! REFURBISHED IPHONE 6S PLUS SILVER T-MOBILE 64GB - FAIR CONDITION for $279.99 with Coupon Code "NEWYEAR2019" at JemJem! Offer ends 1/23. Shop now! REFURBISHED APPLE WATCH (SERIES 2) SPORT 38MM SPACE GRAY ALUMINUM CASE WITH BLACK SPORT BAND - FAIR CONDITION for $189.99 with Coupon Code "NEWYEAR2019" at JemJem! Offer ends 1/23. Shop now! REFURBISHED IPHONE 7 PLUS BLACK GSM UNLOCKED 32GB - FAIR CONDITION for $389.99 with Coupon Code "NEWYEAR2019" at JemJem! Offer ends 1/23. Shop now! REFURBISHED APPLE WATCH (1ST GEN) SPORT GOLD WITH WHITE SPORTS BAND 42MM- FAIR CONDITION for $129.99 with Coupon Code "NEWYEAR2019" at JemJem! Offer ends 1/23. Shop now! REFURBISHED IPHONE 6S ROSE GOLD GSM UNLOCKED 64GB - FAIR CONDITION for $209.99 with Coupon Code "NEWYEAR2019" at JemJem! Offer ends 1/16. Shop now! REFURBISHED IPHONE 6S PLUS GOLD AT&T 64GB - FAIR CONDITION for $259.99 with Coupon Code "NEWYEAR2019" at JemJem! Offer ends 1/16. Shop now! REFURBISHED IPHONE 7 JET BLACK GSM UNLOCKED 128GB - FAIR CONDITION for $309.99 with Coupon Code "NEWYEAR2019" at JemJem! Offer ends 1/16. Shop now! REFURBISHED APPLE MACBOOK PRO RETINA 13.3" 2015 - FAIR CONDITION for $689.99 with Coupon Code "NEWYEAR2019" at JemJem! Offer ends 1/18. Shop now! REFURBISHED APPLE IPAD AIR VERIZON SPACE GRAY 64GB - FAIR CONDITION for $199.99 with Coupon Code "NEWYEAR2019" at JemJem! Offer ends 1/18. Shop now! REFURBISHED IPAD MINI 2 RETINA WIFI SPACE GRAY 64GB - FAIR CONDITION for $189.99 with Coupon Code "NEWYEAR2019" at JemJem! Offer ends 1/18. Shop now! REFURBISHED IPHONE 7 BLACK GSM UNLOCKED 256GB - FAIR CONDITION for $359.99 with Coupon Code "NEWYEAR2019" at JemJem! Offer ends 1/18. Shop now! REFURBISHED IPAD 3 AT&T BLACK 64GB - FAIR CONDITION for $119.99 with Coupon Code "NEWYEAR2019" at JemJem! Offer ends 1/21. Shop now! REFURBISHED IPAD AIR 2 WIFI + CELLULAR SPACE GRAY 16GB - FAIR CONDITION for $179.99 with Coupon Code "NEWYEAR2019" at JemJem! Offer ends 1/21. Shop now! REFURBISHED IPAD 4 WIFI WHITE 64GB - FAIR CONDITION for $149.99 with Coupon Code "NEWYEAR2019" at JemJem! Offer ends 1/21. Shop now! REFURBISHED IPAD MINI 4 RETINA WIFI SILVER 16GB - FAIR CONDITION for $199.99 with Coupon Code "NEWYEAR2019" at JemJem! Offer ends 1/21. Shop now! REFURBISHED APPLE IPAD AIR VERIZON SILVER 64GB - GOOD CONDITION for $219.99 with Coupon Code "NEWYEAR2019" at JemJem! Offer ends 1/7. Shop now! REFURBISHED IPAD AIR 2 WIFI GOLD 64GB - EXCELLENT CONDITION for $229.99 with Coupon Code "NEWYEAR2019" at JemJem! Offer ends 1/7. Shop now! REFURBISHED IPAD AIR 2 SPACE GRAY WIFI+ CELLULAR 64GB - FAIR CONDITION for $239.99 with Coupon Code "NEWYEAR2019" at JemJem! Offer ends 1/7. Shop now! REFURBISHED APPLE IPAD AIR WIFI SPACE GRAY 64GB - FAIR CONDITION for $209.99 with Coupon Code "NEWYEAR2019" at JemJem! Offer ends 1/7. Shop now! REFURBISHED IPHONE 6 PLUS SPACE GRAY GSM UNLOCKED 16GB - EXCELLENT CONDITION for $219.99 with Coupon Code "NEWYEAR2019" at JemJem! Offer ends 1/7. Shop now! REFURBISHED IPHONE 6S PLUS SILVER GSM UNLOCKED 64GB - GOOD CONDITION for $299.99 with Coupon Code "NEWYEAR2019" at JemJem! Offer ends 1/9. Shop now! REFURBISHED IPHONE 7 ROSE GOLD GSM UNLOCKED 128GB - GOOD CONDITION for $309.99 with Coupon Code "NEWYEAR2019" at JemJem! Offer ends 1/9. Shop now! REFURBISHED IPHONE 6S GOLD GSM UNLOCKED 64GB - FAIR CONDITION for $199.99 with Coupon Code "NEWYEAR2019" at JemJem! Offer ends 1/9. Shop now! REFURBISHED IPAD AIR 2 WIFI SPACE GRAY 16GB - GOOD CONDITION for $189.99 with Coupon Code "NEWYEAR2019" at JemJem! Offer ends 1/11. Shop now! REFURBISHED IPAD PRO SPACE GRAY WIFI 32GB 9.7" - EXCELLENT CONDITION for $349.99 with Coupon Code "NEWYEAR2019" at JemJem! Offer ends 1/11. Shop now! REFURBISHED APPLE MACBOOK PRO 13" I7 2012 - GOOD CONDITION for $489.99 with Coupon Code "NEWYEAR2019" at JemJem! Offer ends 1/11. Shop now! REFURBISHED APPLE MACBOOK AIR 11" CORE I5 2015 - FAIR CONDITION for $499.99 with Coupon Code "NEWYEAR2019" at JemJem! Offer ends 1/11. Shop now! REFURBISHED IPHONE 7 BLACK GSM UNLOCKED 128GB - FAIR CONDITION for $279.99 with Coupon Code "XMAS20" at JemJem! Offer ends 1/4. Shop now! REFURBISHED APPLE MACBOOK PRO 15" I7 2012 - GOOD CONDITION for $599.99 with Coupon Code "XMAS20" at JemJem! Offer ends 1/4. Shop now! REFURBISHED APPLE MACBOOK AIR 13" CORE I5 2015 - FAIR CONDITION for $569.99 with Coupon Code "XMAS20" at JemJem! Offer ends 1/4. Shop now! REFURBISHED IPAD 4 WIFI BLACK 16GB - FAIR CONDITION for $99.99 with Coupon Code "BLACKFRIDAY20" at JemJem! Offer ends 12/7. Shop now! REFURBISHED IPAD 2 WIFI BLACK 16GB - FAIR CONDITION for $64.99 with Coupon Code "BLACKFRIDAY20" at JemJem! Offer ends 12/7. Shop now! REFURBISHED IPHONE 5S GSM UNLOCKED SPACE GRAY 16GB - FAIR CONDITION for $74.99 with Coupon Code "BLACKFRIDAY20" at JemJem! Offer ends 12/7. Shop now! REFURBISHED APPLE MACBOOK AIR 11" CORE I5 2013 - FAIR CONDITION for $315.99 with Coupon Code "BLACKFRIDAY20" at JemJem! Offer ends 12/7. Shop now! REFURBISHED IPAD MINI 2 RETINA WIFI SPACE GRAY 32GB - FAIR CONDITION for $159.99 with Coupon Code "BLACKFRIDAY20" at JemJem! Offer ends 12/7. Shop now! REFURBISHED IPAD 3 WIFI BLACK 16GB - GOOD CONDITION for $84.99 with Coupon Code "BLACKFRIDAY20" at JemJem! Offer ends 12/7. Shop now! REFURBISHED IPAD PRO GOLD WIFI 256GB 9.7" - GOOD CONDITION for $499.99 with Coupon Code "AUTUMN10" at JemJem! Offer ends 11/21. Shop now! REFURBISHED IPHONE 8 SILVER GSM UNLOCKED 64GB - GOOD CONDITION for $549.99 with Coupon Code "AUTUMN10" at JemJem! Offer ends 11/21. Shop now! REFURBISHED IPAD MINI 3 RETINA WIFI SPACE GRAY 64GB - FAIR CONDITION for $229.99 with Coupon Code "AUTUMN10" at JemJem! Offer ends 11/21. Shop now! REFURBISHED IPHONE 7 BLACK GSM UNLOCKED 256GB - FAIR CONDITION for $399.99 with Coupon Code "AUTUMN10" at JemJem! Offer ends 11/21. Shop now! REFURBISHED IPAD AIR 2 SPACE GRAY WIFI 64GB - FAIR CONDITION for $229.99 with Coupon Code "AUTUMN10" at JemJem! Offer ends 11/12. Shop now! REFURBISHED IPHONE 6S SPACE GRAY GSM UNLOCKED 128GB - FAIR CONDITION for $249.99 with Coupon Code "AUTUMN10" at JemJem! Offer ends 11/14. Shop now! REFURBISHED IPAD MINI 4 RETINA WIFI+CELLULAR GOLD 64GB - FAIR CONDITION for $299.99 with Coupon Code "AUTUMN10" at JemJem! Offer ends 11/14. Shop now! REFURBISHED IPHONE 7 JET BLACK GSM UNLOCKED 128GB - FAIR CONDITION for $369.99 with Coupon Code "AUTUMN10" at JemJem! Offer ends 11/14. Shop now! REFURBISHED APPLE IPAD AIR VERIZON SPACE GRAY 64GB - FAIR CONDITION for $229.99 with Coupon Code "AUTUMN10" at JemJem! Offer ends 11/12. Shop now! REFURBISHED IPHONE 7 PLUS BLACK GSM UNLOCKED 32GB - FAIR CONDITION for $389.99 with Coupon Code "AUTUMN10" at JemJem! Offer ends 11/12. Shop now! REFURBISHED IPHONE 6S PLUS SPACE GRAY GSM UNLOCKED 64GB - FAIR CONDITION for $309.99 with Coupon Code "AUTUMN10" at JemJem! Offer ends 11/12. Shop now! REFURBISHED IPAD 3 AT&T BLACK 32GB - FAIR CONDITION for $99.99 with Coupon Code "AUTUMN10" at JemJem! Offer ends 11/12. Shop now! REFURBISHED APPLE MACBOOK PRO 15" I7 2012 - FAIR CONDITION for $799.99 with Coupon Code "AUTUMN10" at JemJem! Offer ends 11/9. Shop now! REFURBISHED APPLE MACBOOK PRO 13" CORE I7 2011 - FAIR CONDITION for $429.99 with Coupon Code "AUTUMN10" at JemJem! Offer ends 11/9. Shop now! REFURBISHED IPAD 2 AT&T WHITE 16GB - FAIR CONDITION for $79.99 with Coupon Code "AUTUMN10" at JemJem! Offer ends 11/9. Shop now! REFURBISHED IPAD 2 AT&T WHITE 64GB - FAIR CONDITION for $119.99 with Coupon Code "AUTUMN10" at JemJem! Offer ends 11/7. Shop now! REFURBISHED IPAD 2 VERIZON BLACK 32GB - FAIR CONDITION for $99.99 with Coupon Code "AUTUMN10" at JemJem! Offer ends 11/7. Shop now! REFURBISHED APPLE IPAD AIR VERIZON SPACE GRAY 16GB - FAIR CONDITION for $169.99 with Coupon Code "AUTUMN10" at JemJem! Offer ends 11/7. Shop now! REFURBISHED IPAD AIR 2 SILVER WIFI+ CELLULAR 64GB - FAIR CONDITION for $279.99 with Coupon Code "AUTUMN10" at JemJem! Offer ends 11/7. Shop now! REFURBISHED APPLE MACBOOK PRO 15" RETINA DISPLAY I7 2014 - FAIR CONDITION for $889.99 with Coupon Code "AUTUMN10" at JemJem! Offer ends 11/2. Shop now! REFURBISHED IPHONE SE GSM UNLOCKED SPACE GRAY 16GB - FAIR CONDITION for $99.99 with Coupon Code "AUTUMN10" at JemJem! Offer ends 11/2. Shop now! REFURBISHED IPAD PRO ROSE GOLD WIFI + CELLULAR 32GB 9.7" - GOOD CONDITION for $389.99 with Coupon Code "AUTUMN10" at JemJem! Offer ends 11/2. Shop now! REFURBISHED IPAD MINI 2 RETINA WIFI SILVER 32GB - FAIR CONDITION for $184.99 with Coupon Code "AUTUMN10" at JemJem! Offer ends 11/2. Shop now! REFURBISHED IPAD 2 AT&T WHITE 32GB - FAIR CONDITION for $99.99 with Coupon Code "AUTUMN10" at JemJem! Offer ends 11/5. Shop now! REFURBISHED IPAD MINI 4 RETINA WIFI GOLD 64GB - FAIR CONDITION for $269.99 with Coupon Code "AUTUMN10" at JemJem! Offer ends 11/5. Shop now! REFURBISHED IPAD MINI 3 RETINA WIFI SPACE GRAY 64GB - GOOD CONDITION for $249.99 with Coupon Code "AUTUMN10" at JemJem! Offer ends 11/5. Shop now! REFURBISHED IPAD 4 AT&T BLACK 64GB - FAIR CONDITION for $179.99 with Coupon Code "AUTUMN10" at JemJem! Offer ends 11/5. Shop now! REFURBISHED APPLE MACBOOK PRO 13" I7 2012 - FAIR CONDITION for $459.99 with Coupon Code "AUTUMN10" at JemJem! Offer ends 10/31. Shop now! REFURBISHED IPAD MINI 2 RETINA WIFI SPACE GRAY 32GB - FAIR CONDITION for $144.99 with Coupon Code "AUTUMN10" at JemJem! Offer ends 10/31. Shop now! REFURBISHED APPLE MACBOOK PRO 15" RETINA DISPLAY I7 2015 - FAIR CONDITION for $989.99 with Coupon Code "AUTUMN10" at JemJem! Offer ends 10/31. Shop now! REFURBISHED IPAD AIR 2 WIFI + CELLULAR SPACE GRAY 16GB - FAIR CONDITION for $199.99 with Coupon Code "AUTUMN10" at JemJem! Offer ends 10/31. Shop now! REFURBISHED IPHONE 7 PLUS RED GSM UNLOCKED 128GB - FAIR CONDITION for $429.99 with Coupon Code "AUTUMN10" at JemJem! Offer ends 10/29. Shop now! REFURBISHED APPLE MACBOOK PRO 15" I7 2011 - FAIR CONDITION for $499.99 with Coupon Code "AUTUMN10" at JemJem! Offer ends 10/29. Shop now! REFURBISHED IPHONE 5S GSM UNLOCKED GOLD 16GB - EXCELLENT CONDITION for $99.99 with Coupon Code "AUTUMN10" at JemJem! Offer ends 10/29. Shop now! REFURBISHED APPLE MACBOOK PRO 15" I7 2010 - FAIR CONDITION for $399.99 with Coupon Code "AUTUMN10" at JemJem! Offer ends 10/29. Shop now! REFURBISHED IPAD 4 WIFI WHITE 16GB - FAIR CONDITION for $109.99 with Coupon Code "AUTUMN10" at JemJem! Offer ends 10/26. Shop now! REFURBISHED IPAD AIR 2 WIFI SPACE GRAY 16GB - FAIR CONDITION for $169.99 with Coupon Code "AUTUMN10" at JemJem! Offer ends 10/26. Shop now! REFURBISHED IPAD 3 AT&T BLACK 64GB - FAIR CONDITION for $109.99 with Coupon Code "AUTUMN10" at JemJem! Offer ends 10/26. Shop now! REFURBISHED IPAD MINI 2 RETINA WIFI SILVER 64GB - FAIR CONDITION for $189.99 with Coupon Code "AUTUMN10" at JemJem! Offer ends 10/26. Shop now! BEST OF WEB DEALS - REFURBISHED IPAD AIR 2 GOLD WIFI+ CELLULAR 64GB - FAIR CONDITION for $239.99 with Coupon Code "AUTUMN10" at JemJem! Offer ends 10/24. Shop now! BEST OF WEB DEALS - REFURBISHED IPAD PRO SPACE GRAY WIFI 32GB 9.7" - FAIR CONDITION for $299.99 with Coupon Code "AUTUMN10" at JemJem! Offer ends 10/24. Shop now! BEST OF WEB DEALS - REFURBISHED APPLE MACBOOK PRO 13.3" RETINA DISPLAY I5 2015 - GOOD CONDITION for $799.99 with Coupon Code "AUTUMN10" at JemJem! Offer ends 10/24. Shop now! BEST OF WEB DEALS - REFURBISHED IPAD 4 WIFI WHITE 64GB - FAIR CONDITION for $139.99 with Coupon Code "AUTUMN10" at JemJem! Offer ends 10/24. Shop now! REFURBISHED IPHONE 6S PLUS SPACE GRAY GSM UNLOCKED 64GB - FAIR CONDITION for $299.99 with Coupon Code "AUTUMN10" at JemJem! Offer ends 10/22. Shop now! REFURBISHED IPHONE 7 PLUS ROSE GOLD GSM UNLOCKED 32GB - FAIR CONDITION for $439.99 with Coupon Code "AUTUMN10" at JemJem! Offer ends 10/22. Shop now! REFURBISHED IPHONE 6 SILVER VERIZON 16GB - FAIR CONDITION for $149.99 with Coupon Code "AUTUMN10" at JemJem! Offer ends 10/22. Shop now! REFURBISHED IPAD 4 WIFI WHITE 128GB - FAIR CONDITION for $219.99 with Coupon Code "AUTUMN10" at JemJem! Offer ends 10/15. Shop now! REFURBISHED IPAD MINI 2 RETINA WIFI SPACE GRAY 64GB - FAIR CONDITION for $199.99 with Coupon Code "AUTUMN10" at JemJem! Offer ends 10/15. Shop now! REFURBISHED APPLE MACBOOK PRO 15" I5 2010 - FAIR CONDITION for $429.99 with Coupon Code "AUTUMN10" at JemJem! Offer ends 10/15. Shop now! REFURBISHED APPLE MACBOOK PRO RETINA 13.3" 2015 - FAIR CONDITION for $799.99 with Coupon Code "AUTUMN10" at JemJem! Offer ends 10/15. Shop now! REFURBISHED IPHONE 7 PLUS GOLD GSM UNLOCKED 32GB - FAIR CONDITION for $439.99 with Coupon Code "AUTUMN10" at JemJem! Offer ends 10/12. Shop now! REFURBISHED IPHONE SE GSM UNLOCKED GOLD 16GB - FAIR CONDITION for $109.99 with Coupon Code "AUTUMN10" at JemJem! Offer ends 10/12. Shop now! REFURBISHED IPHONE 7 PLUS SILVER GSM UNLOCKED 128GB - FAIR CONDITION for $499.99 with Coupon Code "AUTUMN10" at JemJem! Offer ends 10/12. Shop now! REFURBISHED IPHONE SE GSM UNLOCKED SPACE GRAY 32GB - GOOD CONDITION for $129.99 with Coupon Code "AUTUMN10" at JemJem! Offer ends 10/12. Shop now! REFURBISHED APPLE MACBOOK PRO 13" RETINA DISPLAY I5 2014 - FAIR CONDITION for $669.99 with Coupon Code "AUTUMN10" at JemJem! Offer ends 10/8. Shop now! REFURBISHED APPLE MACBOOK PRO 15" RETINA DISPLAY I7 2015 - FAIR CONDITION for $1049.99 with Coupon Code "AUTUMN10" at JemJem! Offer ends 10/8. Shop now! REFURBISHED APPLE MACBOOK AIR 13" CORE I5 2014 - FAIR CONDITION for $459.99 with Coupon Code "AUTUMN10" at JemJem! Offer ends 10/8. Shop now! REFURBISHED APPLE MACBOOK PRO 15" I7 2012 - FAIR CONDITION for $839.99 with Coupon Code "AUTUMN10" at JemJem! Offer ends 10/8. Shop now! Best of Web Deals! REFURBISHED IPHONE 7 PLUS BLACK GSM UNLOCKED 32GB - FAIR CONDITION for $439.99 with Coupon Code "AUTUMN10" at JemJem! Offer ends 10/5. Shop now! Best of Web Deals! REFURBISHED IPHONE 7 SILVER GSM UNLOCKED 128GB - FAIR CONDITION for $399.99 with Coupon Code "AUTUMN10" at JemJem! Offer ends 10/5. Shop now! REFURBISHED IPHONE 8 SPACE GRAY GSM UNLOCKED 64GB - GOOD CONDITION for $529.99 with Coupon Code "AUTUMN10" at JemJem! Offer ends 10/5. Shop now! REFURBISHED IPHONE 8 SILVER GSM UNLOCKED 64GB - GOOD CONDITION for $539.99 with Coupon Code "AUTUMN10" at JemJem! Offer ends 10/5. Shop now! Best of Web Deals! REFURBISHED APPLE MACBOOK PRO 15" I7 2011 - FAIR CONDITION for $499.99 at JemJem! Offer ends 09/28. Shop now! Best of Web Deals! REFURBISHED APPLE MACBOOK PRO 15" 2010 - FAIR CONDITION for $389.99 at JemJem! Offer ends 09/28. Shop now! Best of Web Deals! REFURBISHED APPLE MACBOOK AIR 11" CORE I5 2014 - FAIR CONDITION for $409.99 at JemJem! Offer ends 09/28. Shop now! Best of Web Deals! REFURBISHED APPLE MACBOOK PRO 13" I7 2012 - FAIR CONDITION for $509.99 at JemJem! Offer ends 09/28. Shop now! REFURBISHED IPAD 3 WIFI BLACK 32GB - FAIR CONDITION for $109.99 at JemJem! Offer ends 09/24. Shop now!